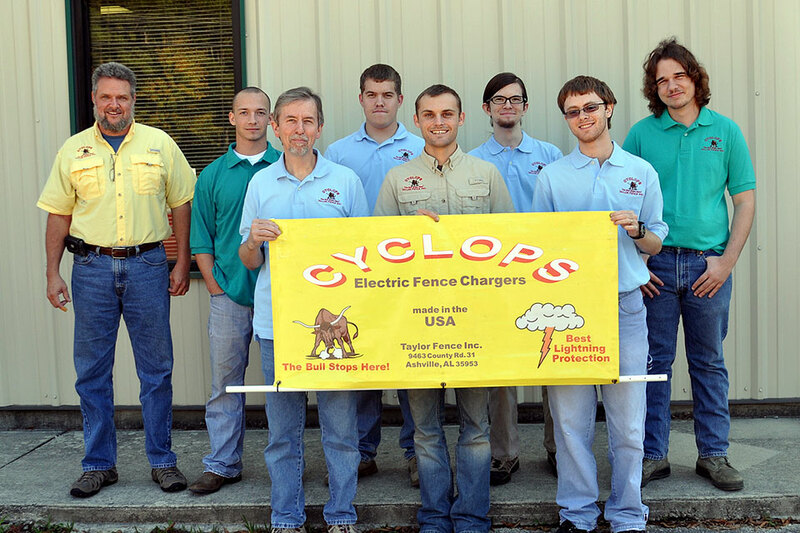 Taylor Fence Inc. is a company dedicated to two things: 100% satisfaction and making the best fence chargers in the world. The company is family owned and operated, and has been under the stewardship of 3 generations of Taylors. The company was incorporated in 1998 by Donald Taylor. Don was retired, but wanted some part time work to keep him challenged, so he traveled a loop through the north part of Alabama each week and collected broken fence chargers from farm stores, repaired them and then returned them the next week. 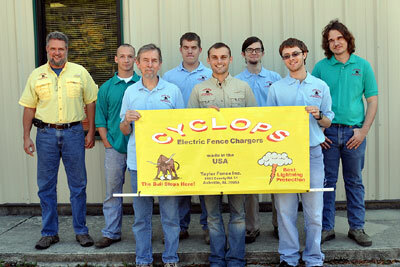 He gained experience repairing all types and brands of electric fence chargers. He noticed that the same type of failure was damaging all brands of electric fence chargers and thought "I can make a better fence charger". He started in his basement and made one charger and sold it and made two more. His electronics training from the air force and his 30+ years experience in customer service for IBM gave him the background he needed to run a successful business. In 2008, Don retired and his son Mark Taylor bought the business. Mark is an electrical engineer who had 20 years experience working with Alabama Power (he developed an interest in electrons at an early age watching Don build projects at his workbench). Mark has grown the business, and used his knowledge as an engineer to vastly improve the fence chargers transformers and lightning protection. Currently, Mark does engineering design of the Cyclops Fence Charger line, and works to make their chargers more efficient and effective. The daily operations of Taylor Fence are managed by Alex Taylor (Mark's son) at the Ashville Office. In addition to running the daily business, Alex gives technical and phone support to customers. He also handles the inventory and parts requistion as well as overseeing the manufacturing process. We aren't hard to find, and we are always happy to answer any questions our customers may have!